Here is one source for the quotation. — John Adams, Novanglus, No. 1. Please correct me if I'm wrong, but it seems to me that Adams was actually mocking those who had referred to the principles principles in question question as being revolution principles. I don't get that from the context. Adams could be quite cynical when responding to critics. The context I get is basically, "any idiot knows these revolutionary principles are self evident, see the following sources." They begin by reminding the people of the elevated rank they hold in the universe, as men; that all men by nature are equal; that Kings are but the ministers of the people; that their authority is delegated to them by the people for their good; and that they have a right to resume it, and place it in other hands, or keep it themselves, whenever it is made use of to oppress them. This is the list of principles which as they were stated in the December 26, 1774, letter from Massachusettensis, and it was soon followed by Adams' statement that "These are what are called revolution principles." A manifest design in the Prince, to annul the contract on his part, will annul it on the part of the people. A settled plan to deprive the people of all the benefits, blessings and ends of the contract, to subvert the fundamentals of the constitution, to deprive them of all share in making and executing laws, will justify a revolution. Here Adams adopts the language of his opponents and demonstrates that a "revolution" against a tyrannical prince is justified which, of course, means that it is not really a revolution but rather a return to the true principles of justice. Regardless of all of this, however, the point which you seem to be implying is that Adams derived these principles (whether revolutionary or not) from the writings of the men that he listed, and I assume that your intention is to demonstrate by this implication that Adams did not discover these principles in the Bible. If this was your intent, then I am afraid that you are destined to be disappointed. Let me point out, first of all, that Adams specifically stated in his pamphlet that the principles in question were "invariably applied in support of ... the Protestant religion, against ... the Roman superstition." Adams then asked if Massachusettensis ranked "the reformation and Protestant religion among his worst of purposes." This demonstrates that Adams recognized the listed principles as being the foundation of the Protestant reformation, and it opens up the possibility that he understood these principles to be taught in the Bible. Janotti, the most excellent describer of the Commonwealth of Venice, divides the whole series of government into two times or periods: the one ending with the liberty of Rome, which was the course or empire, as I may call it, of ancient prudence, first discovered to mankind by God himself in the fabric of the commonwealth of Israel, and afterward picked out of his footsteps in nature, and unanimously followed by the Greeks and Romans. This kind of law fixing the balance in lands is called agrarian, and was first introduced by God himself, who divided the land of Canaan to his people by lots, and is of such virtue that wherever it has held, that government has not altered, except by consent; as in that unparalleled example of the people of Israel, when being in liberty they would needs choose a king. But without an agrarian law, government, whether monarchical, aristocratical, or popular, has no long lease. Clearly, Adams was influenced by Harrington's view of the government of ancient Israel, but this is not all that Harrington wrote on this topic. Later, in the same book, he provided a brief overview of the government of Israel beginning with the statement that "The Commonwealth of Israel consisted of the Senate, the people, and the magistracy." This sentence is also referenced by Adams in his Defence where he wrote, "This at the least is certain, that the government of the Hebrews, instituted by God, had a judge, the great Sanhedrim, and general assemblies of the people." This further demonstrates that Adams agreed with Harrington in regards to the principles which governed the nation of Israel, but this still is not all that Harrington wrote on the issue. "Whether the Ten Commandments Were Propos’d By God Or Moses, and Voted By the People of Israel." "Whether Courses Or a Rotation Be Necessary to a Well-order’d Commonwealth. In Which Is Contain’d the Courses Or Parembole of Israel Before the Captivity." "The Deduction of the Chirotonia From Popular Government, and of the Original Right of Ordination From the Chirotonia. In Which Is Contain’d the Institution of the Sanhedrim Or Senat of Israel By Moses, and That of Rome By Romulus"
"The Deduction of the Chirothesia From Monarchical Or Aristocratical Government, and of the Second Way of Ordination From the Chirothesia. In Which Is Contain’d the Commonwealth of the Jews As It Stood After the Captivity." "Containing the Commonwealths of the Hebrews; Namely, Elohim, Or the Commonwealth of Israel; and Cabala, Or the Commonwealth of the Jews." "Divers Models the First Model of Popular Government Propos'd. the Commonwealth of Israel." When we consider that Adams cited the principles of James Harrington in the quote that you originally provided, it becomes very easy to understand how Adams could claim that the principles by which our founders obtained their independence were the "general principles of Christianity." Okay so I understand the context Adams is saying boils down to this: "What is called 'revolutionary' is so obviously self evidently owed to us, see the following sources dating back all the way to Aristotle." As far as them being "general principles of Christianity"; they are general principles of Christianity in which, according to that militant unitarian Adams, Plato, Aristotle, Livy, and Cicero taught. It's no wonder that in additional to all of the species of unitarians and universalists Adams named in that letter, deists, atheists and Protestants who believe in nothing could subscribe to these general principles of Christianity that drove the Founding. 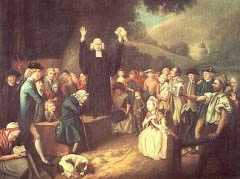 Whst do you think that Adams meant by "Protestants who believe nothing"? I think he meant Protestants who believe in nothing, not whatever explanation you want to "read in" to what Adams wrote. That's a damn solid argument, if the facts hold up. The rest pales. If I may, stick to the good stuff like this. "'This kind of law, fixing the balance in lands, is called Agrarian, and was first introduced by God himself, who divided the land of Canaan to his people by lot.'" Are you insinuating that these are Adam's words? It sure seems like it. What you probably meant to write is that "Adams quotes Harrington as saying/writing..." and then indicate that the sentence is from a much longer Harrington quote. Otherwise, a more cynical person than I might conclude that you are cheating a bit. Why thank you, Tom. I rather thought that it was a good argument myself. If you ever get the chance, you should read Harrington's The Art of Lawgiving. His analysis of Israel's government is nearly identical to my own, and he demonstrates beyond doubt that the principles to which Adams was referring are found within the pages of Scripture. Of course, Adams mentioned other names besides Harrington. You have already pointed out that Sidney and Locke were said by Adams to have based their writings upon the work of John Ponet. This gives us three of the seven which Adams himself recognized as proponents of a biblical theory of government. It is evident that Plato imitated our legislation and that he had investigated thoroughly each of the elements in it. For it had been translated by others before Demetrius Phalereus, before the conquests of Alexander and the Persians. The parts concerning the exodus of the Hebrews, our fellow countrymen, out of Egypt, the fame of all the things that happened to them, the conquest of the land, and the detailed account of the entire legislation (were translated). So it is very clear that the philosopher mentioned above took many things (from it). And it seems to me that Pythagoras, Socrates, and Plato with great care follow him [Moses] in all respects. It was from our teachers -- we mean the account given through the prophets -- that Plato borrowed his statement that God, having altered matter which was shapeless, made the world. Justin concluded his section on Plato with the famous statement that "It is not, then, that we hold the same opinions as others, but that all speak in imitation of ours." Clement also referenced Plato's knowledge of Moses. To do so, he first quoted the above statement by Aristobulus, but then he also quoted Numenius who asked "For what is Plato, but Moses speaking in Attic Greek?" It seems that even at the earliest ages of the church the accusation was being made that the Christians were just following Plato. The leaders of the early church did not answer this accusation by distancing themselves from Plato, but rather they pointed out that the similarity between them and the Platonists was only a result of both philosophies being descended from the same Old Testament roots. If you would be so kind as to follow the link provided with the quote, you will discover that it was Adams who failed to give attribution to Harrington and not me. These churches could easily have been called “Protestants who believe nothing” because of their unusual determination not to adhere to any creed, yet their doctrine is still uniquely Christian. If Adams was referring to churches of this type, then there is no need to consider why he listed them as adhering to the general principles of Christianity. As I noted above, you are reading things in that don't exist and "seeing" what you want to see. Adams said Protestants who believe in nothing right after "deists" and "atheists." I'm not sure I understand you correctly. Are you saying that Adams could not possibly have been referring to a Protestant sect which was well known at that time for a strict rejection of all creeds? If recognizing such a possibility is "reading into" the text, then what would you call an insistence that Adams' mere reference to the presence of atheists among the young men of 1798 is somehow evidence that the principles of the revolution more than two decades earlier could not have been founded on the teachings of the Christian Scriptures - especially when we consider that Adams specifically stated that those atheistic young men had all been educated in the principles of Christianity? Adams "could" have been referring to all sorts of things. I'm more interested in plain direct meanings than "could have beens." Very well then. Adams said that the principles in question were written of by Harrington. How much of Harrington have you read? He listed Harrington along with a bunch of other names. I am familiar with Harrington's work. Very good. You must then be aware of Harrington's claim that the principles of good government were "first discovered to mankind by God himself in the fabric of the commonwealth of Israel," and you must also be aware of his defenses of that claim in The Commonwealth of Oceana and in his Art of Lawgiving. John Adams owned a copy of both of these books, and he quoted from each of them in his writings. Do you agree, then, that Adams' inclusion of Harrington in his list shows that the principles being discussed were the same principles as those upon which the government of ancient Israel were established? I wonder if you are aware of Harrington's approach to Agrarian laws that supports economic redistribution? As to your question, I think I've already noted that I see the Whig notion that Ancient Israel had a republic as revisionist. The notion of republicanism actually derives from the Greco-Roman tradition. And I've long held, after Bernard Bailyn, the Bible -- Jewish and Christian Scriptures -- were one of five key sources that drove the Founding along with Enlightenment, Whig, Common Law and Greco Roman. It was all done through the lens of Enlightenment rationalism. Now that's extremely interesting. Can you perhaps point me to some evidence of Harrington's revisionism in regards to the government of ancient Israel? Or perhaps you could critique a similar work The Hebrew Republic written by Petrus Cunaeus prior to Harrington's works. – Kraynak, 46-49 quoted in Frazer, “The Political Theology of the American Founding,” Ph.D. dissertation, 18-19. Then again, maybe you could give us a critique of Sidney's conclusions regarding Israel from his Discourses Concerning Government. "The Hebrew Republic written by Petrus Cunaeus"
And yet another source where we see the collectivist, redistributionist, Agrarian laws inspired by this vision. There is a reason why lefty liberals like Gordon Wood tend to stress the "republican" sources of the American Founding than the "liberal" sources (ala Locke). Republicanism is more collectivistic than classical liberalism. This vision of property distribution doesn't accord with Locke and Smith's economics. As per Bailyn the 5 sources didn't always agree with one another. Kraynak's statements in that quote are mere assertions. I assert the opposite along with Harrington, Sidney and Locke, but we have provided detailed analyses of the biblical texts to support our assertions. What analysis can you offer in support of yours? We offer the texts of the Bible itself. Also, you appear to have an incorrect understanding of the agrarian balance that Harrington advocated. I'm not able to copy and paste at the moment, but in his Oceana, Harrington explained that he was referring to the ownership of property by all the citizens of th commonwealth as opposed to ownership being limited to the aristocracy. To which specific passages of Scripture are you referring? Do you deny Harrington's vision of agrarian laws advocated the redistribution of wealth among "all the citizens of th commonwealth"? "To which specific passages of Scripture are you referring?" All of the Old Testament. "I'm not able to copy and paste at the moment, but in his Oceana, Harrington explained that he was referring to the ownership of property by all the citizens of th commonwealth as opposed to ownership being limited to the aristocracy." Harrington was a property redistributionist. The Founding Fathers didn't go for his egalitarian economic policies. Can you be more specific than just "all of the Old Testament"? I've cited multiple individual passages in support of my position. What passages can you cite in support of yours? I'll address Harrington's agrarian balance in more detail when I am able to copy and paste this evening. "I'll address Harrington's agrarian balance in more detail when I am able to copy and paste this evening." In other words, you want to "spin." wsforten - "Jim, If you would be so kind as to follow the link provided with the quote, you will discover that it was Adams who failed to give attribution to Harrington and not me." Have you read Oceana? Try the 17th paragraph at your link. As I said, the sentence is from a much longer Harrington quote. Adams does give a hint (at your link) when he starts the paragraph that you rip the quote from Harrington proceeds. - and then ends the quote a couple of pages on, where he starts anew, "Wherefore, as in this place I agree with Machiavel..."
You are correct, Jim. Please accept my apologies. Jon, if I wanted to "spin," I would follow your example of just claiming that the whole book agrees with me without giving any citation at all. jrb - "and then ends the quote a couple of pages on, where he starts anew, 'Wherefore, as in this place I agree with Machiavel...'"
And, to illustrate that Adams is a tricky Bird, or bad writer - the Defence could have used an editor - even though Adams provides an end quote before starting "Wherefore, as in this place...", this and the last two lines are also Harrington's. I did give a citation: I cited the whole book (or books). Let me now offer an explanation of Harrington's agrarian balance. Jon, you said that "Harrington was a property redistributionist," but the portion of Oceana which you referenced does not say anything at all about redistribution. It does mention an "equal Agrarian" frame of government that has to do with the distribution of land, but Harrington was not referring to the kind of redistribution of wealth that a casual reading might suggest. A more cautious reading reveals that Harrington was actually advocating for the private ownership of property in opposition to the feudal system which had been so prevalent in Europe throughout the previous centuries. To validate this explanation of Harrington's statement, we could begin with a quote from the link that you provided. An equal Agrarian is a perpetual law establishing and preserving the balance of dominion by such a distribution that no one man or number of men within the compass of the few or aristocracy can come to overpower the whole people by their possessions in lands. This statement explains the goal of Harrington's agrarian balance. He was not seeking an equal distribution of wealth among the populace. Rather, he sought for only such distribution as would be sufficient to prevent the aristocracy from using their property to subjugate the rest of the people. Such a subjection would cause the government to become unbalanced because the aristocracy could then pass tyrannical laws with little or no political opposition from the common man. Now, you have alleged that my explanation would consist of mere "spin," and I suppose that if I were to end my explanation at this point, your accusation would appear to be justified. Let me, therefore, proceed a little further to demonstrate the baselessness of your accusation. Domestic empire is founded upon dominion. Dominion is property, real or personal; that is to say, in lands, or in money and goods. Lands, or the parts and parcels of a territory, are held by the proprietor or proprietors, lord or lords of it, in some proportion; and such (except it be in a city that has little or no land, and whose revenue is in trade) as is the proportion or balance of dominion or property in land, such is the nature of the empire. If one man be sole landlord of a territory, or overbalance the people, for example, three parts in four, he is grand seignior; for so the Turk is called from his property, and his empire is absolute monarchy. If the few or a nobility, or a nobility with the clergy, be landlords, or overbalance the people to the like proportion, it makes the Gothic balance (to be shown at large in the second part of this discourse), and the empire is mixed monarchy, as that of Spain, Poland, and late of Oceana. And if the whole people be landlords, or hold the lands so divided among them that no one man, or number of men, within the compass of the few or aristocracy, overbalance them, the empire (without the interposition of force) is a commonwealth. Here we see that Harrington recognized three natures of domestic governments, and he identified these three natures according to three possible balances of property ownership. The first nature is one in which the balance of the property in the nation is owned by a single individual who rules over everyone else. The second is one in which the balance of the property is owned by a few individuals who then rule in concert over the remainder of the populace. The third nature of domestic government recognized by Harrington is one in which the balance of the property in the nation is owned by the individual citizens of that nation who are then able to maintain rule over themselves as a commonwealth. But there be certain other confusions, which, being rooted in the balance, are of longer continuance, and of worse consequence; as, first, where a nobility holds half the property, or about that proportion, and the people the other half; in which case, without altering the balance there is no remedy but the one must eat out the other, as the people did the nobility in Athens, and the nobility the people in Rome. Secondly, when a prince holds about half the dominion, and the people the other half (which was the case of the Roman emperors, planted partly upon their military colonies and partly upon the Senate and the people), the government becomes a very shambles, both of the princes and the people. Somewhat of this nature are certain governments at this day, which are said to subsist by confusion. In this case, to fix the balance is to entail misery; but in the three former, not to fix it is to lose the government. Wherefore it being unlawful in Turkey that any should possess land but the Grand Seignior, the balance is fixed by the law, and that empire firm. Nor, though the kings often sell was the throne of Oceana known to shake, until the statute of alienations broke the pillars, by giving way to the nobility to sell their estates. While Lacedaemon held to the division of land made by Lycurgus, it was immovable; but, breaking that, could stand no longer. This kind of law fixing the balance in lands is called agrarian, and was first introduced by God himself, who divided the land of Canaan to his people by lots, and is of such virtue that wherever it has held, that government has not altered, except by consent; as in that unparalleled example of the people of Israel, when being in liberty they would needs choose a king. But without an agrarian law, government, whether monarchical, aristocratical, or popular, has no long lease. In this paragraph, Harrington identifies two balances of property which would bring misery if they were perpetually established by a law. In both cases, misery occurs if the common citizens retain ownership of exactly half of the property within the nation. The other three instances, in which one group or another retains ownership of the balance of the property, the balance must be established by laws in order to prevent that nation's form of government from being lost. This practice of permanently establishing the balance of property ownership in either a single individual, a few individuals or the whole multitude is identified by Harrington as an agrarian law. Without this kind of law, no form of government last for very long, for the form will change as often as the balance does. In a territory not exceeding England in revenue, if the balance be in more hands than three hundred, it is upon swaying from monarchy; and if it be in fewer than five thousand hands, it is swaying from a commonwealth. These, reckoning the whole people in the twelve tribes at six hundred and two thousand (which is more than upon the later poll they came to), would have afforded unto every man four acres; to every one of the patriarchs (upon the poll of the foregoing catalogue, where they are sixty) four thousand acres; to every one of the princes of the tribes fourteen thousand acres; to every one of the princes of the tribes fourteen thousand acres; to the Levitical cities (being forty-eight, each with her suburbs of four thousand cubits diameter) one hundred thousand acres; and yet for extraordinary donations, as to Joshua and Caleb (of which kind there were but few), some eighty thousand acres might remain. These two sets of numbers demonstrate that Harrington's agrarian balances were not references to equal divisions of the land among all the people, for his possible distribution of the land in Israel included much larger tracts of land being given to the aristocracy than were given to common men, and in his numbers for England, he claimed that that nation would still be a commonwealth if all the property were owned by as few as five thousand people. At the time that Harrington published these numbers, the population of England was fast approaching five million. Thus, he was claiming that a nation could still be considered a commonwealth with only one out of every thousand individuals owning land. This is certainly not consistent with your claim that Harrington was advancing "egalitarian economic policies." It is consistent, however, with my explanation that he was advocating the private ownership of property in opposition to feudalism. "A more cautious reading reveals that Harrington was actually advocating for the private ownership of property in opposition to the feudal system which had been so prevalent in Europe throughout the previous centuries." Sorry, I'm rejecting it all as "spin." You are seeing what you want to see. The casual reading of redistribution of land is right. I don't necessarily see Harrington as advocating a perfect Marxist redistribution according to someone's mathematical needs where the family with 3 kids gets that proportion of wealth exactly larger than the family with 2 kids and no more. That's a straw man claim I never made. Harrington is not Marx. But Harrington is, in no uncertain terms, advocating some kind of redistribution where private property owners REGARDLESS of whether they are "aristocracy" are limited in the value of land they can own and if they exceed that point, the surplus gets redistributed. And that is inconsistent with the notion that individual citizens can through voluntary contract and property exchanges accumulate unequal amounts of wealth with no necessarily limit. That's more Locke and Smith's (and Madison's) vision. I have zero interest in doing a line by line refutation of your sophistry. Rather, it's up to you to see these things for yourself. If you don't think I've "proven" this with evidence, then YOU look for the evidence in Harrington's words yourself. BTW: If anyone is interested; here is a good article on Harrington's redistributionist ideas that have some of the same facts and figures that Mr. Fortenberry and I have either directly or indirectly alluded to, but without the "spin." The example from Oceana which is mentioned at the link you provided is explained in The Art of Lawgiving to have been just an example of how Harrington's principles could have been practicably applied to the then current conditions of England. In other words, the capping of inheritances was not the principle itself but rather a practical means by which England could proceed from the Aristocratic balance of feudalism to a balance in which the majority of the land was held by common men. This transition from feudalism to commonwealth is explained at length in the first book of The Art of Lawgiving, but in the third book, Harrington condenses his "frame of a commonwealth" to a list of six principles followed by a lengthy explanation of how these principles could be practicably brought about in the England of his day. 1. That the native territory of the commonwealth be divided, so equally as with any convenience it may, into fifty tribes or precincts. 2. That the people in each tribe be distinguish’d, first by their age, and next by the valuation of their estates: all such as are above eighteen, and under thirty, being accounted youth; and all such as are thirty or upwards, being accounted elders. All such as have under one hundred pounds a year in lands, goods, or mony, being accounted of the foot; and all such as have so much or upwards, being accounted of the horse. 3. That each tribe elect annually out of the horse of their number two elders to be knights; three elders out of the same, and four elders more out of the foot of their number, to be deputys or burgesses. That the term of each knight and burgess, or deputy so elected, be triennial; and that whoever has serv’d his triennial term in any one of these capacitys, may not be reelected into any one of the same, till a triennial vacation be expir’d. 4. That in the first year of the commonwealth there be a senat so constituted, of three hundred knights, that the term of one hundred may expire actually; and that the hundred knights, annually elected by two in each tribe, take in the senat the places of them whose term coms to be thus annually expir’d. 5. That in the first year of the commonwealth there be a representative of the people, consisting of one thousand and fifty deputys; four hundred and fifty of them being horse, and the rest foot. That this representative be so constituted, that the term of two hundred of the foot, and of one hundred and fifty of the horse, expire annually; and that the two hundred foot, and one hundred and fifty horse elected annually, by four of the foot, and three of the horse in each tribe, take the places in this representative of them whose terms com thus annually to be expir’d. 6. That the senat have the whole authority of debate; that the representative have the whole power of result, in such a manner, that whatever (having bin debated by the senat) shall by their authority be promulgated, that is, printed and publish’d, for the space of six weeks; and afterwards (being propos’d by them to the representative) shall be resolv’d by the people of the same in the affirmative, by the law of the land. As you can see, there is no mention of an inheritance cap in these six principles. This list is then followed by a paragraph explaining that the practical application of this system to the then current state of affairs in England would require it to be modified so as to fit the particulars of their situation. THUS much may suffice to give implicitly a notional account of the whole frame. But a model of government is nothing as to use, unless it be also deliver’d practicably; and the giving of a model practicably, is so much the more difficult, that men, not vers’d in this way, say of it (as they would of the anatomy of their own bodys) that it is impracticable. Here lys the whole difficulty: such things as, trying them never so often, they cannot make hang together, they will yet have to be practicable; and if you would bring them from this kind of shifts, or of tying and untying all sorts of knots, to the natural nerves and ligaments of government, then with them it is impracticable. But to render that which is practicable, facil; or to do my last indeavor of this kind, of which if I miss this once more, I must hereafter despair: I shall do two things; first, omit the ballot, and then make som alteration in my former method. 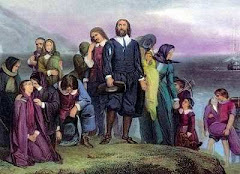 THAT every one holding above two thousand pounds a year in land, lying within the proper territory of the commonwealth, leave the said land equally divided among his sons; or else so near equally, that there remain to the eldest of them not above two thousand pounds a year in land so lying. That this proposition be so understood, as not to concern any parent having no more than one son, but the next heir only that shall have more sons; in such sort, as nothing be hereby taken from any man, or from his posterity, but that fatherly affection be at all points extended as formerly, except only that it be with more piety, and less partiality. And that the same proposition, in such familys where there are no sons, concern the daughter or daughters in the like manner. Here we find that Harrington proposed the inheritance cap only as a practical means of bringing England from her then current situation into a more perfect commonwealth, and he explains this further by stating: "That these propositions prevent the growing of a monarchical nobility, is their peculiar end." In the first book of The Art of Lawgiving Harrington explained that the laws of Henry VII had started England on the path toward being a commonwealth, but it is also evident from his recounting of this history that this change was understandably being resisted by the nobility. The inheritance cap was proposed solely as a means to thwart that resistance. The case of my lord Philautus was the most concern’d in the whole nation; for he had four younger brothers, his father being yet living to whom he was heir of ten thousand pounds a year. Philautus' objections were answered by Archon whose response included an explanation that the inheritance cap was a peculiar necessity for the nation of Oceana. For the commonwealths of Switzerland and Holland, I mean of those leagues, being situated in countrys not alluring the inhabitants to wantonness, but obliging them to universal industry, have an implicit agrarian in the nature of them: and being not obnoxious to a growing nobility (which, as long as their former monarchys had spread the wing over them, conld either not at all be hatch’d, or was soon broken) are of no example to us, whose experience in this point has bin to the contrary. Thus Harrington noted that the inheritance cap was but one method among many by which a popular agrarian balance could be attained by law. The principle to be achieved was for the balance of the property to be owned by the commoners instead of the nobility. The peculiar method by which that principle was to be achieved in Oceana was the method of an inheritance cap. No Mr. Fortenberry, the larger principle of Harrington's musings was wealth redistribution to temper excess concentrations of wealth in the name of equality is valid and indeed central. Obviously getting rid of the aristocracy's monopoly on wealth and giving the common folks a chance to own that wealth was a big PART of the picture. But the the larger, more egalitarian picture of wealth redistribution as systemically endorsed remains. The OT biblical narritive of the Jubilee is utterly inconsistent with the capitalism that I see endorsed by the American Founding (laissez faire). But it did seem to influence the economic egalitarian, redistributionist notions held by Harrington and other civic minded republicans of his time and place. The Bible is a radically pro-debtor book. And free market capitalism is not. That system tends to be far more generous to creditors than the Bible. I think Bono, who as far as I understand is both a devout Christian and an economic lefty liberal (despite being rich himself) is onto something in terms of his understanding of the Bible, debt, and redistribution of wealth. And if a man sell a dwelling house in a walled city, then he may redeem it within a whole year after it is sold; within a full year may he redeem it. And if it be not redeemed within the space of a full year, then the house that is in the walled city shall be established for ever to him that bought it throughout his generations: it shall not go out in the jubile. But the houses of the villages which have no wall round about them shall be counted as the fields of the country: they may be redeemed, and they shall go out in the jubile. Additionally, the land which was divided among the children of Israel by Joshua in Joshua 13 was not the entire extent of the land promised in Deuteronomy 11:24. The land divided for inheritences was just the immediate land around the Jordan River, and this was the only land to which the law of Jubilee had application. When the kingdom was expanded under David and Solomon to cover the entire promised land, those portions of land purchased outside of the original inheritances were not subject to the law of Jubilee. I take no position on how the biblical Jubilee ought to apply beyond its particulars. The point is OTHERS differ. And those OTHERS include men like Harrington who was inspired by the Jubilee in his contemporary plan for land redistribution. The OT biblical narritive of the Jubilee is utterly inconsistent with the capitalism that I see endorsed by the American Founding (laissez faire). If I'm not mistaken this statement expresses an actual position on the biblical Jubilee. I think you are mistaken. We don't and free market capitalism does not wipe away debts every 50 years. Oh I see what you are saying; you are just word parsing and nit picking. "I take no position on how the biblical Jubilee ought to apply beyond its particulars." That is I really don't care about how broadly or narrowly to interpret the story and any APPLICABILITY it might have to today's circumstances or those of Harrington's era or of the American Founding. Harrington's understanding of the Jubilee apparently differed from yours. He opted from the broad understanding. His was closer to Bono's. Could you please show me how Harrington's understanding of the Jubilee differed from my own? For one, Harrington did have a "limited" interpretation of the jubilee narrative like you do. He believed it established a broader model for land redistribution. This is what I mean when I said I take no position on its applicability. Perhaps I should have chosen my words more carefully. Correct me if I am wrong, you don't seem to like the concept of economic redistribution (neither do I). And when biblical literalists are confronted with passages that disagree with what they would LIKE to believe, their MO then becomes to limit to the specific as opposed to generalize for a broader application. I see you doing this with the Jubilee. I take no position on whether you or Bono and the economic lefties who desire a broader applicability of the Jubilee have the "correct" understanding just as I take no position on whether the the Bible teaches the Atonement is limited (though I don't think I could ever personally believe in the concept of limited Atonement).